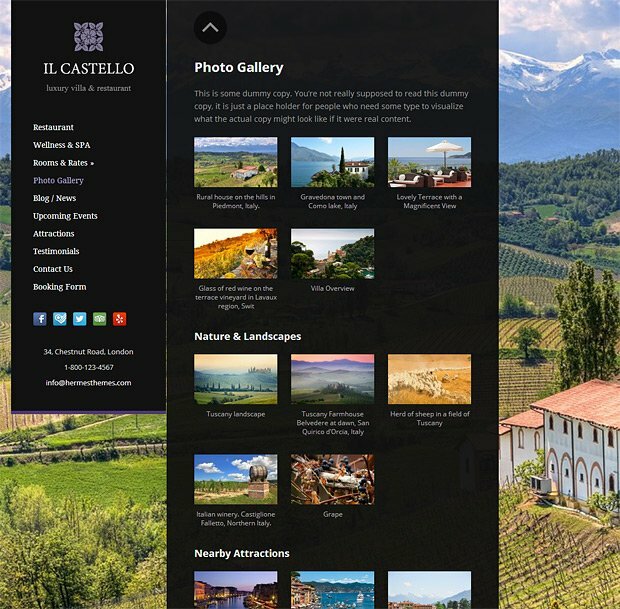 It is with great pleasure that we release our first WordPress theme of this Summer: Castello. Castello Theme will work best for websites with beautiful photography, such as websites for luxury villas, holiday/vacation homes, small B&Bs, farmhouses, etc. After looking closely to how customers use our other themes, we have noticed that the Gallery page template needs some improvement. As such, you can now have sub-galleries in your Gallery page, so as to better sort all of your photos. 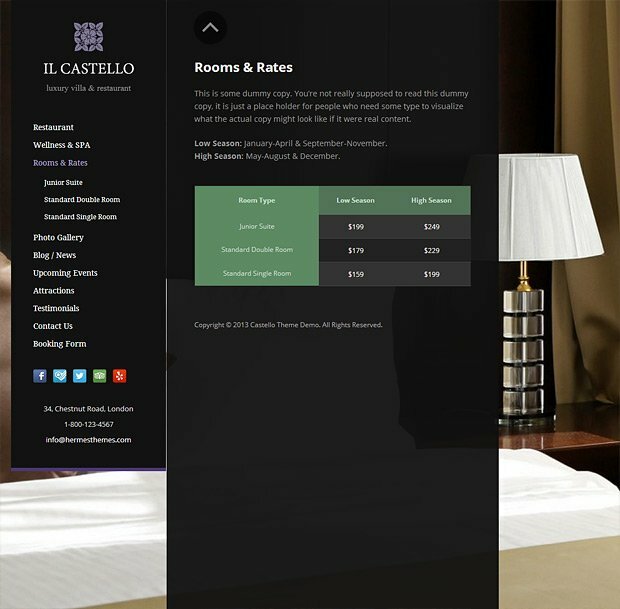 As Castello Theme was developed with vacation homes and villas in mind, we knew that rental prices vary from season to season. For this reason we have created the ability to define custom periods of time, and set different rates for these periods. So now you can easily set different prices for your Low/Medium/High seasons without editing a single line of code. With the Summer season upon us, tourists from all over the world are looking for vacation home rentals for their long-awaited holidays. Is your hotel’s or villa’s website ready to impress and engage them?